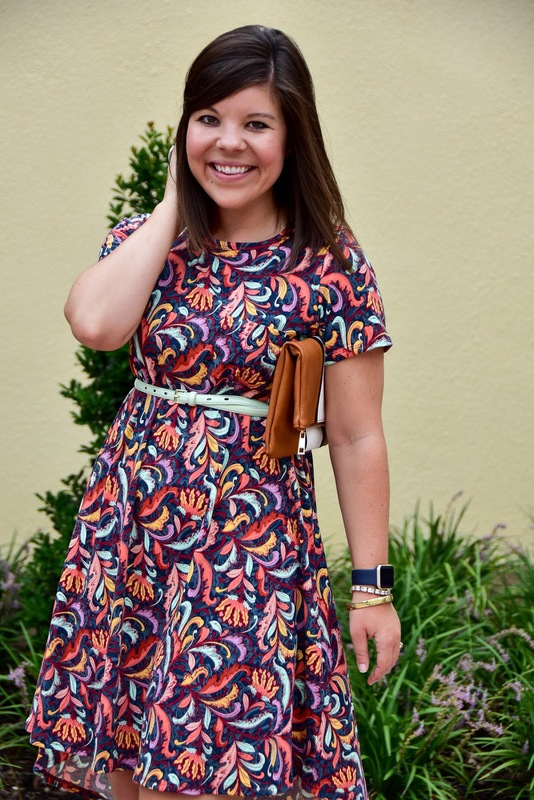 I have been over-the-moon excited to bring today’s post to y’all! 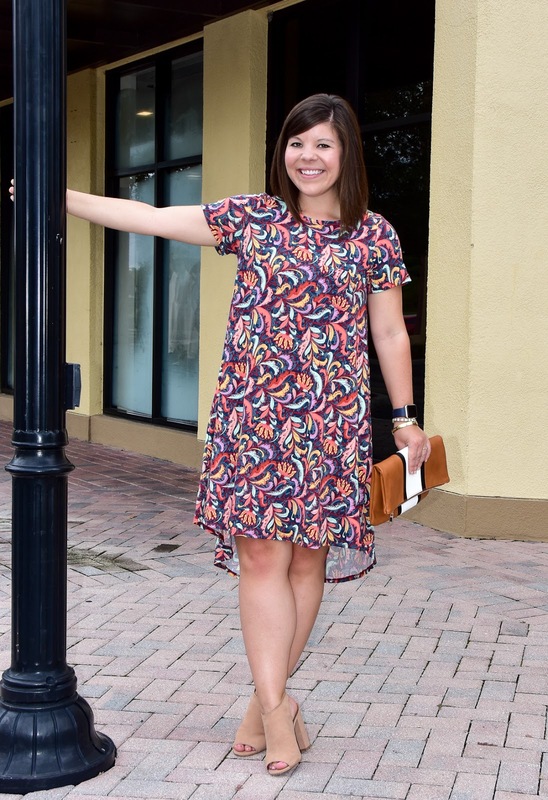 When I find something I love, I want to shout it from the rooftops, and this Carly Dress from LulaRoe Jane is beyond a new favorite! 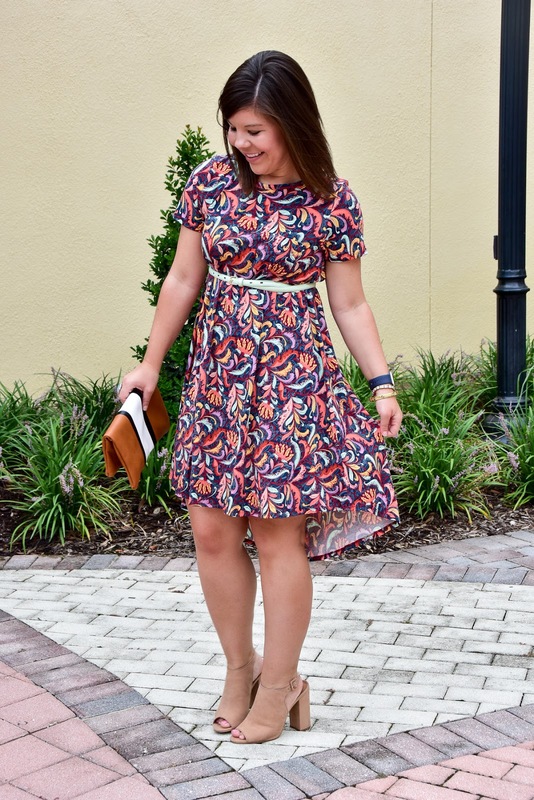 I first introduced y’all to LulaRoe last week with a casual look, so I’m excited to also show you how “dressed up” it can be too! The Carly is a brand new style from the brand, and it has been selling-out like crazy, & now that I have one I can totally see why! 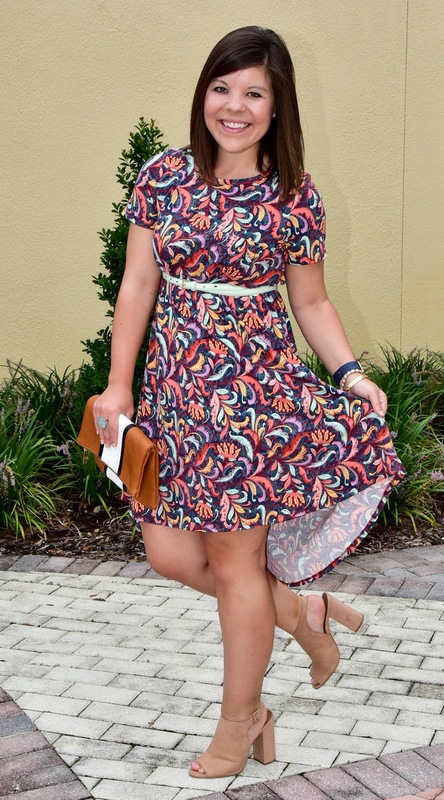 This is the perfect combination of swingy and also flattering- which gets all the praise hands in my book! 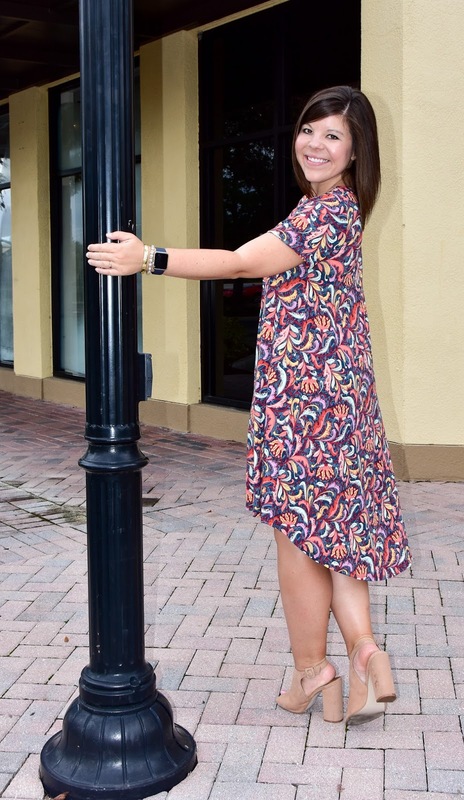 🙂 One of the things I love about LulaRoe is that the dresses are cut more conservatively (meaning you don’t have to worry about pulling a “Britney”) while also being crazy comfortable. Also, every print they design is only released in a limited number of pieces and sizes, which means for the most part you have a one-of-a-kind look! 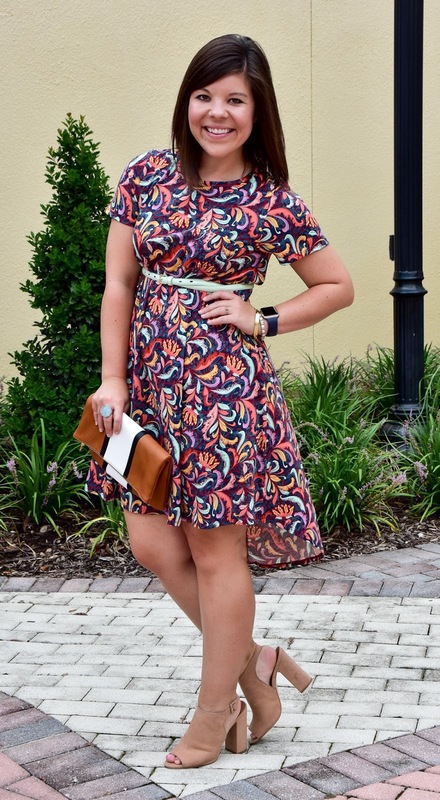 I also wanted to show you this dress unbelted so you can get a real feel for the swingy style and the gorgeous high/low hemline! 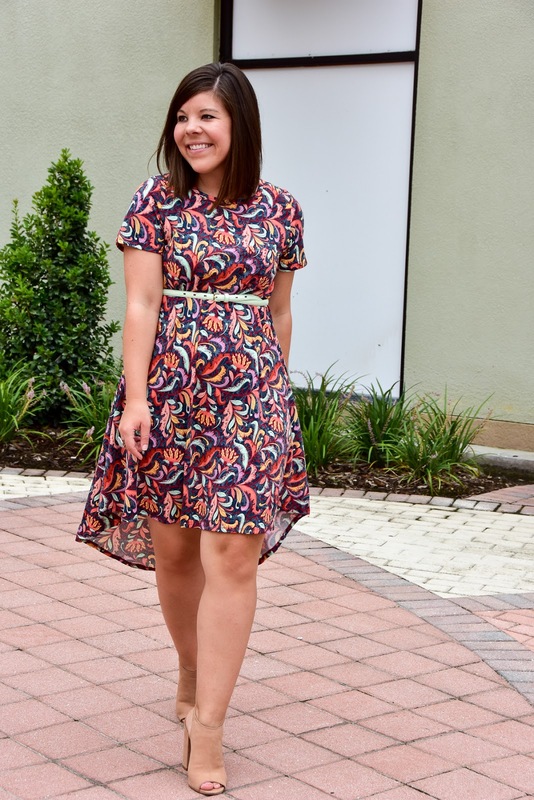 Fit Tip: This style definitely runs big and you can size down 1-2 sizes (I’m wearing a small for reference). 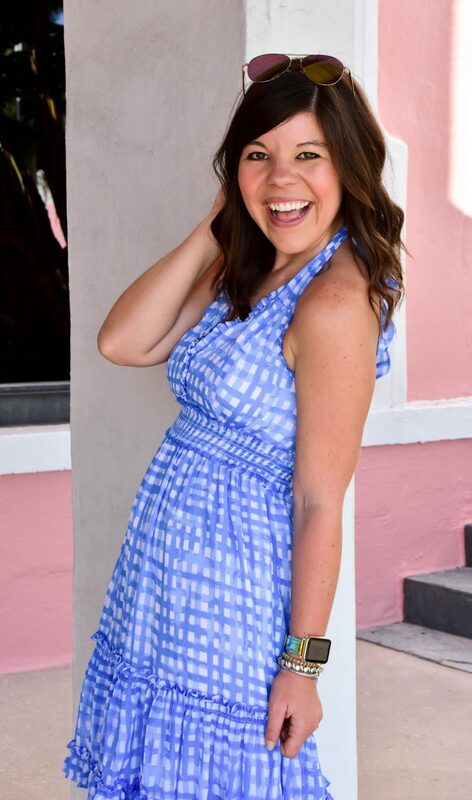 Previous Post Lilly Pulitzer After Party Sale + Ali Dress! Okay this is a show stopper dress! I absolutely adore it! 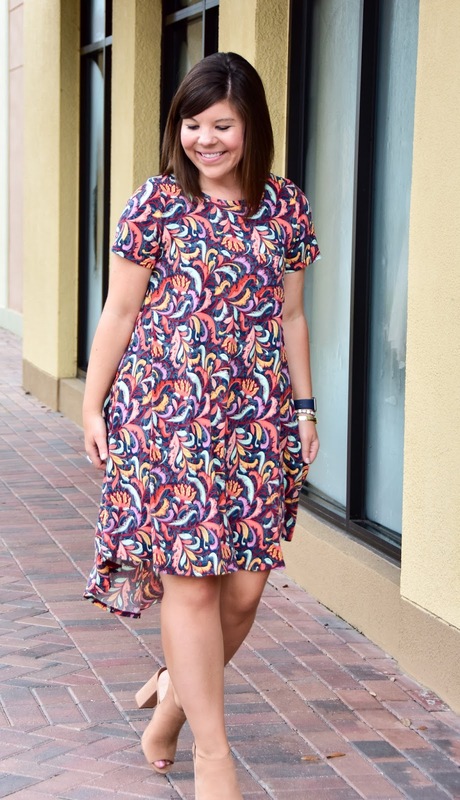 This dress is so adorable and the print is so fun and perfect for you! I can see why you love it! This is the cutest! 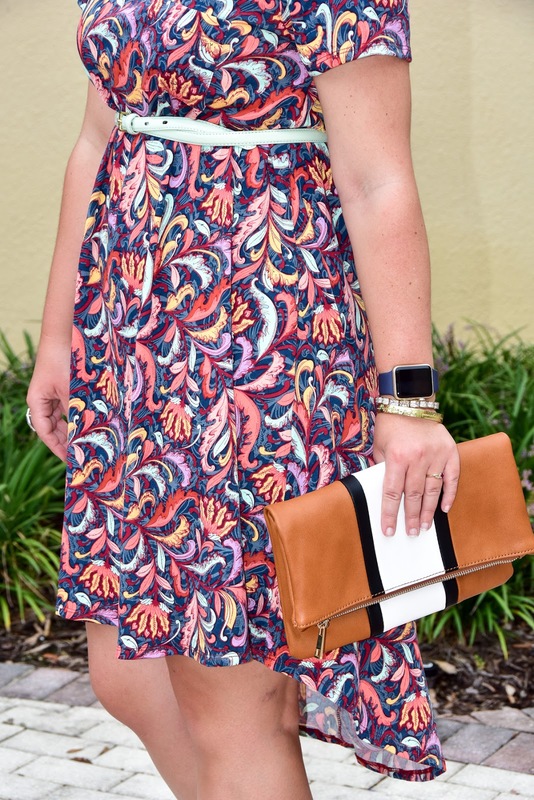 I always love having a little bit of a sleeve and I love this print! I just got a Carly and love it. I usually wear a l to XL in dresses but my Carly is a small and it fits great. I must say this is the most comfy dress I own. And by far the most versatile. I love it. 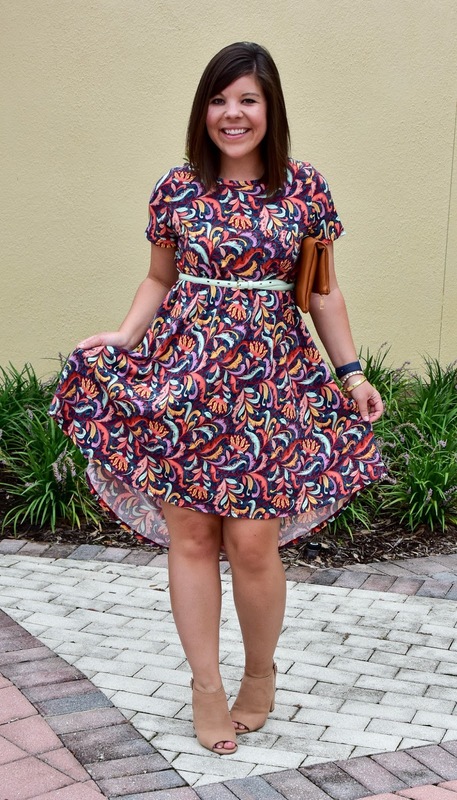 It is such a fabulous dress! It makes everyone look amazing and the comfort is unmatched 🙂 Glad you love it too! New website is looking good and thanks for the great efforts.